1. Recording an album of original material was a lifelong dream of yours—were there any differences between what you thought recording an album would be like vs. what the process was actually like? I was struck by how easy and efficient recording music is with the latest advances in digital technology. You can airbrush an ”s” from a word that has been sung. Or stitch together ten words from ten different vocal takes to form one seamless whole. Or pitch-shift an entire song up one tone to accommodate a singer’s range, and have that singer add her vocals in a different city from where the rest of the song was recorded (as I did on the song, “Grace of Love”). Guitarist lost in forest of strings, cables, and stands. 2. 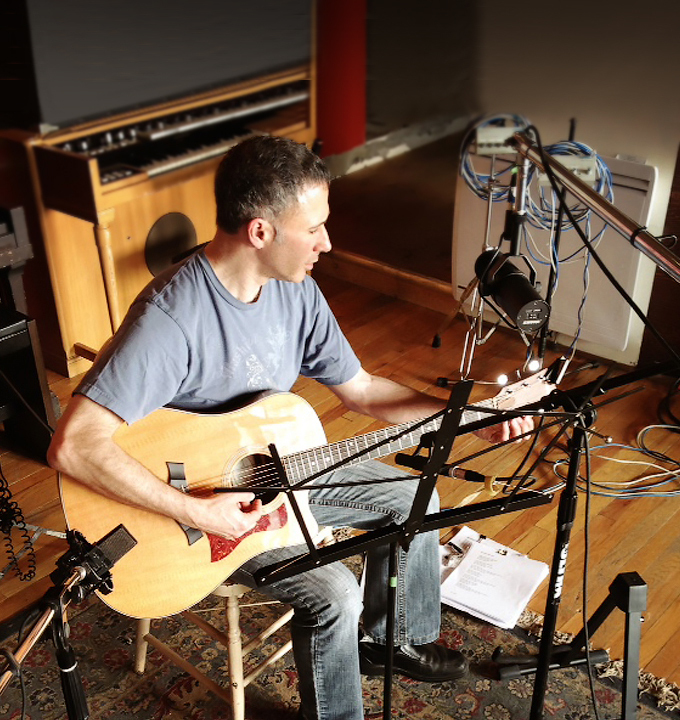 What was most difficult part of the songwriting process for you? Verses come relatively easy to me. Choruses are much more difficult, perhaps because there’s so much pressure on a chorus, which is supposed to lift the song to some higher place, provide resolution, and justify the whole exercise. Writing lyrics is also tricky. Usually I come up with placeholder words to give voice to a melody that’s in my head. I then try to improve what is often a trite or cliché or incomprehensible lyric. Very often those original words, however limited, fit the music like a comfortable old T-shirt, and I never manage to improve upon them. 3. You had the chance to record in three very different studios: a tiny basement studio, an analogue studio, and a mansion attic studio. Which of the three studios was your favourite to record in? In a perfect world I would return to that old-fashioned, big studio called Hotel2Tango that has a fair bit of analogue technology and encourages live performance. Playing together with other musicians in a space big enough to accommodate them enabled myself and two other musicians to experiment with various arrangements, working off each other in real time, until we were happy with a song. It’s riskier – and pricier – than the other venues, but when it works there’s a spontaneity, camaraderie, and chemistry that’s hard to beat. My advice to musicians: record everything. Smartphones make it easy. 4. What’s song on Studio Grace are you most proud of? “Go Slow.” I never tire of what the other musicians – bass, drums, trumpet, organ, and backup vocals – are doing on it. And I think it’s the song I sing best. 5. Do you have any of advice for people looking to work in the music industry as either a critic or a performer? 6. 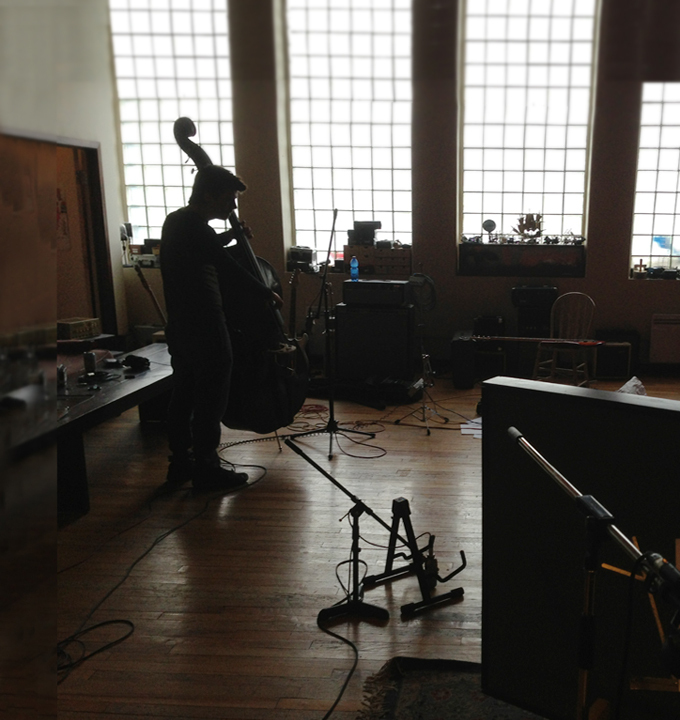 Did you get a chance to incorporate the cello in any of the songs you recorded? Yes. I wanted to record cello for the last song on the project, “Grace of Love.” The superb cellist Kristina Koropecki played for the occasion. She also added cello to the song, “Cherries,” which has a spaciousness and meditative quality that lent itself to the instrument’s timbre. 7. Can we expect a second album from you in the future? 8. What are you reading right now? I just finished reading Whipping Boy, an enjoyable memoir by one of my favourite novelists, Allen Kurzweil. Now I’m reading Augustus by John Williams, an epistolary novel that is believable enough to read like a primary historical source about ancient Rome. Plus I’m happily dipping into Bruce Chatwin’s collection of essays, What Am I Doing Here. With a dozen original songs percolating in his head, bestselling author Eric Siblin had two chance encounters in the same month: one with a real estate agent named Jo, a talented singer with pop star dreams; and the other with a college acquaintance named Morey, a fiery guitarist, record exec turned digital music producer, and manager of his teenage daughter’s burgeoning singing career. These two serendipitous events mark the start of a musical odyssey. 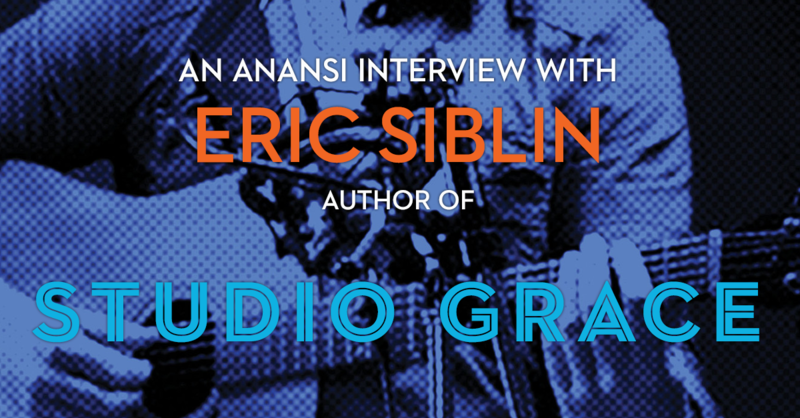 In Studio Grace, Eric Siblin chronicles the twelve-month realization of a long-held dream: recording an album of original material. To get there he plunges into the joyful and painful heart of songcraft, grappling with elusive verses and choruses until they are ready for recording. Siblin’s songs are captured in three very different studios reflecting the evolution of sound recording: a tiny basement studio run by a wedding band drummer; the famed Hotel2Tango analogue studio, where a former producer of Arcade Fire connects Siblin with hipster musicians; and the mansion attic where his new friend Morey creates songs on a laptop using the latest in digital technology and the global distribution network that is YouTube. 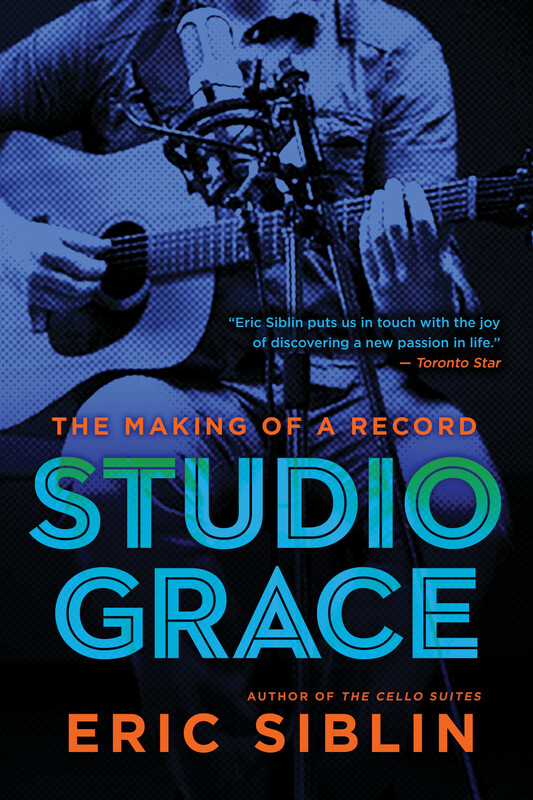 Published to coincide with the release of the album of the same name, Studio Grace is an entertaining and demystifying behind-the-scenes look at the making of a record filled with songs about love gained and love lost, about modern identity theft and ancient battlegrounds, about life and death, fleshed out by a host of eclectic characters, from ambitious young singers to veteran session musicians and unknown engineers to high-profile producers — all of whom are pursuing the multi-layered dream of a four-minute pop song.